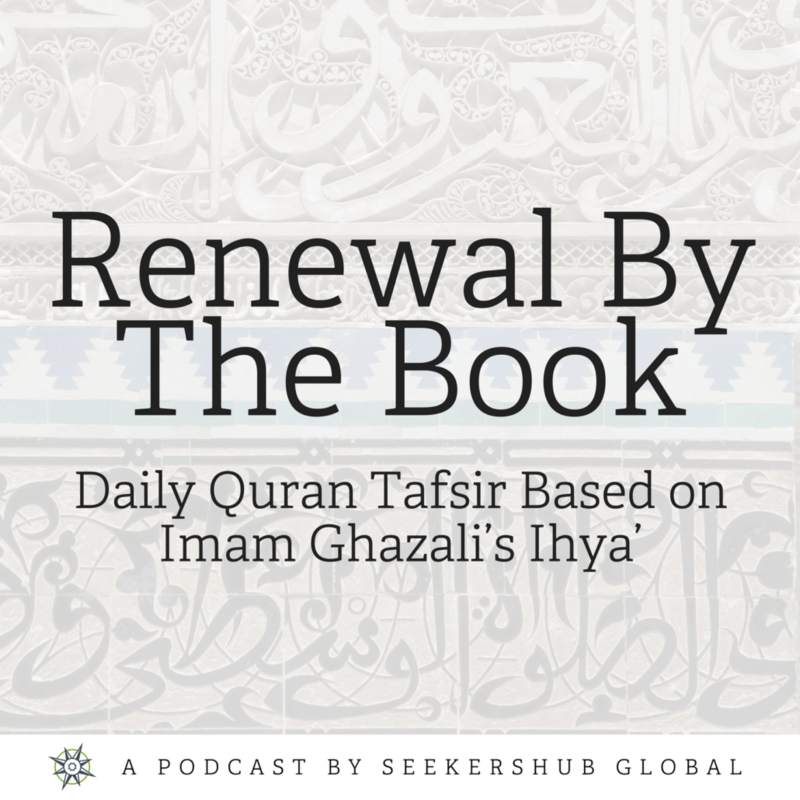 In this lesson, Shaykh Faraz Rabbani, reviews verses from the Quran that correspond with the chapter on Seclusion and the Preservation of Faith from Imam Ghazali’s Ihya. The verses covered in this lesson are from the 18th chapter of the Quran on the people of the Cave, verses 9-16. The story of the people of the Cave in the Quran focuses on the points of guidance from this story, that’s why the details of their story are not mentioned in the Quran like other Biblical traditions. The reason that reading this Chapter every Friday is to renew one’s faith. That is why the central message of the chapter is the preciousness and preservation of faith. The preservation of one’s faith is done through seclusion or migration. Here, seclusion is not an ends in itself but it is separate one from evil and its people with one’s heart and action even if one is amongst them. The physical seclusion is to give one the strength for the spiritual seclusion from their action. Here, the verses mention mercy and what is meant by that mercy is faith and guidance. The story itself showcases the high levels of taqwa that the people of the cave had in their attempts to preserve their faith. As such, one should always strive to preserve what they’ve been blessed with from Allah. Verses 15 and 16 show us that one should be vigilant in what they choose to associate with and what they choose to disassociate with. A believer should be clear about what is the truth, right and good and holds fast to it. In addition, Shaykh Faraz reminds us that we dislike the action and not the person, and disassociate with the action and not people. Lastly, Shaykh Faraz concludes with a quote from Imam Ibn ‘Ajiba and Imam Ibn ‘Ata’illah that whoever dedicates themselves to Allah, Allah will reward them, protect them and shields there heart. To do this one should take some time for seclusion to reflect, pray, and remember Allah.